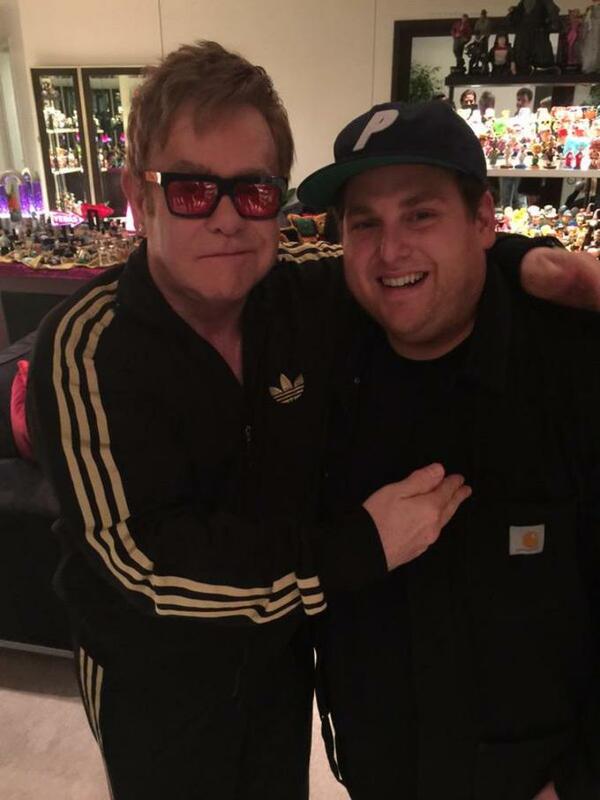 Jonah Hill’s advert for Palace Skateboards is easily one of the most hilarious things a streetwear brand has done in some time. But Hill wasn’t just a hired funny man for the London-based brand. 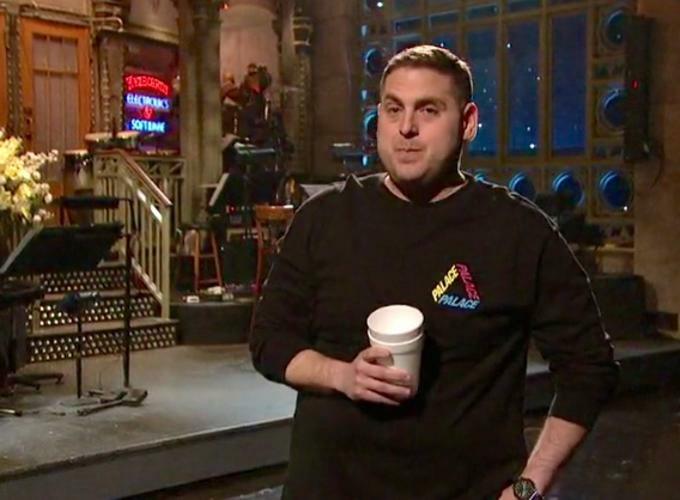 The actor has long been a fan of skatewear and put Palace in front of millions when he rocked it while hosting Saturday Night Live on March 5 of this year. Hill hasn&apos;t just passed through this culture, stealing the buzziest brands and then getting out. According to tweets, Hill picked up skating in 2011. “Can land kickflip holding onto something,” he reported in a tweet from June 2, 2011. And our detective work says that his love for streetwear was the probably the reason he started skating. You can go back almost a decade and see that Hill is, as the kids say, about this life. He appeared on The Hundreds blog all the way back in 2007, when the brand’s founder, Bobby Hundreds, wrote that Hill was a next-door neighbor of the brand’s store just off of L.A.’s Fairfax (which is also home to the Supreme store). Hill “can usually be found on our front stoop with his new The Hundreds-ized bicycle,” Hundreds wrote. Hill is also known to frequent other L.A. skate spots, like Hot Rod and the Santa Monica Courthouse. He impressed skaters everywhere when he showed off his deep knowledge of the sport in a Crailtap video. Hill was asked for his five favorite skate video segments, before listing off seven and name-checking legendary skaters like Mark Gonzales, Mike Carroll, and Chad Muska. 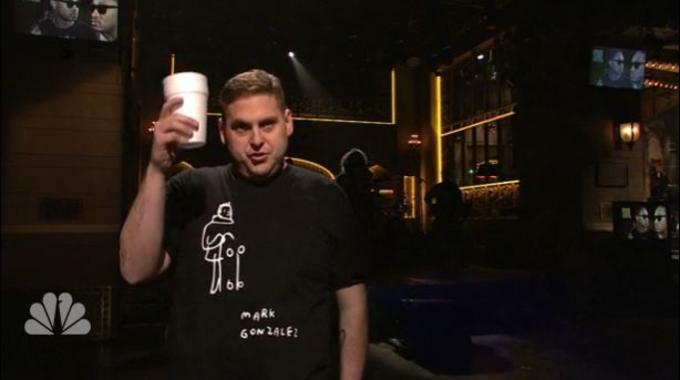 Speaking of Mark Gonzalez, Hill also wore one of the skater’s T-shirts during his SNL appearance. But like any good skater, there have been some rough patches for Hill in his ascension to skatewear god. He got swept up in the menswear movement in the early half of this decade and confessed to Fino Man, in a rare moment of basic-ness, that his style icon was Steve McQueen and his “go-to” labels were Freemans Sporting Club and rag & bone, according to Page Six. This is also around the same time you could find Hill gravitating towards skinny ties. It&apos;s also important to note that Hill&apos;s mom was a stylist, so fashion has always been a part of the actor&apos;s life in some way. Hill got back on the righteous path of streetwear in the last few years, and he hasn’t wavered since. What’s most admirable about the actor is that he seems dead set on his skatewear—not just streetwear—look. He tends to stick to brands like Dime, F**king Awesome, Palace, and Supreme, while dabbling in Carhartt—one of the rare outliers, but one that isn&apos;t too far removed from his wheelhouse. Need more proof? Hill is even making his directorial debut with a movie about “a young boy coming up in Los Angeles in the mid-1990s, learning life lessons with his skateboarding crew of friends,” Variety reported. Hill is not just using Palace as a fashion statement; this is a culture he is truly invested in, and that bleeds over to his personal style.